Adele is back! The British crooner who stunned the world with her gorgeously laced vocals almost six years ago with her debut album, 19 and then sealed the deal with her follow up 21 has been out of the spotlight and hibernating for far too long enough. Granted she did take time to get the family thing situated thanks to the birth of her son Angelo in 2012. Now the revered songstress is ready to remerge and claim her rightful place among the ones who struggle to keep up. The supremely doe-eyed emotional instigator with a plethora of hits that include Chasing Pavements, Set Fire to the Rain, and the unbeatable theme song to the 2012’s Skyfall has been seducing us for weeks with deets about her new offering, 25, slated for release on Nov. 20. It’s a torturous affair waiting for what will surely be an epic outing but in the meantime we have the pleasure of sampling the first single Hello and accompanying video that will be available Friday, Oct. 23. According to Billboard, the video was shot in the civilized wilds of Montreal under the tutelage of rising star Xavier Dolan. In addition, we have been appeased with the complete tracklist that drips of the Adele we know and love. You can access it here. There will also be three additional tracks (Can’t Let Go, Lay Me Down, Why Do You Love Me) added to the bunch with the deluxe edition that will be sold exclusively at Target. 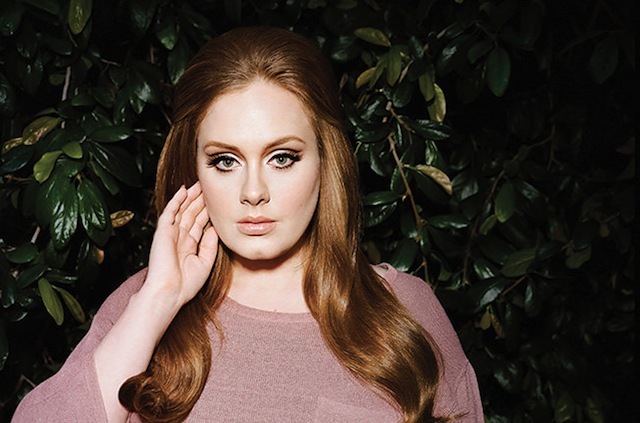 For more on Adele – click here.